Conversion. The begins-all-ends-all, bread, and butter, icing on the cake to every sales campaign. In the channel, converting opportunities into profit takes patience, expertise, and help—and as a vendor—you can be the source of meaningful consultation. 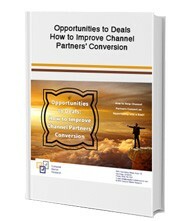 Receive a Free whitepaper on “Opportunities to Deals: How to Improve Channel Partners’ Conversion” by filling out the form on the right.